Erasmus+ will provide opportunities for over four million Europeans to study, train, gain work experience and volunteer abroad. To tackle the skills gaps we are facing in Europe, Erasmus+ will also support transnational partnerships among education, training and youth institutions and organisations to foster cooperation and bridge the worlds of education and work. It will also support national efforts to modernise education, training and youth systems. 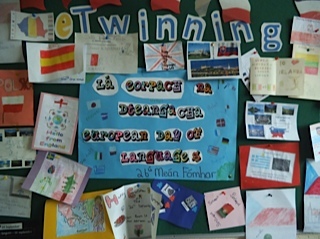 Further information on the Erasmus+ programme is available here. Some of the Irish-medium schools are already involved in international partnerships, including Gaelscoil Mhuscraí. You can read about their project here.